It is incredible to think, looking at Kerry Doyland’s moving work of Leigh-on-Sea fisherman Brum, that this was her very first attempt at a portrait. 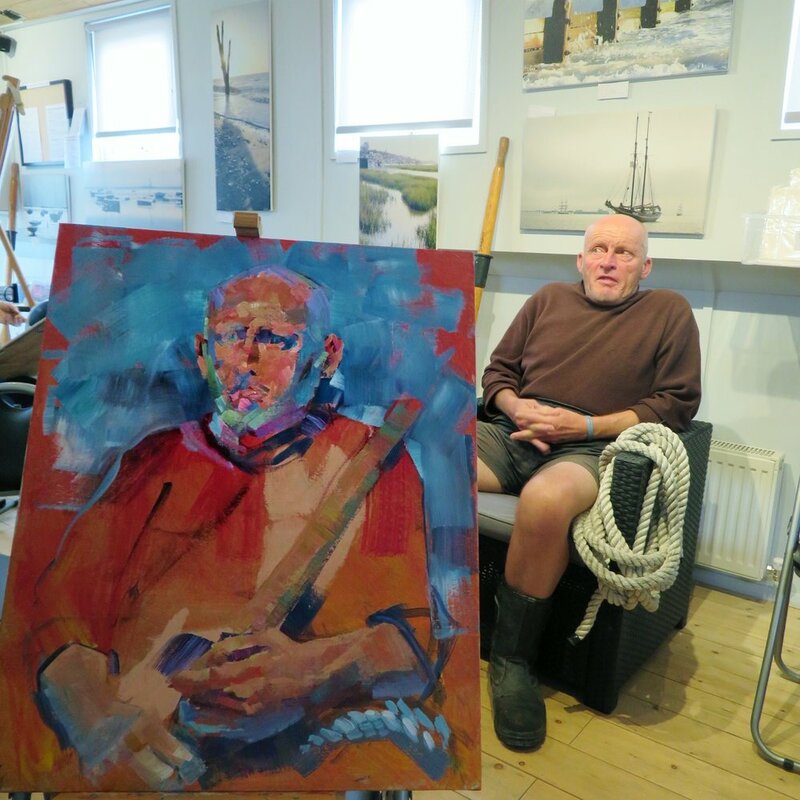 Designer and architect Kerry has painted for 16 years, but had never turned her talents to portraiture until last September, when she attended a session at the Estuary Gallery Barge in Leigh Marina. Now, having been captivated by the subject, she is building a collection of pictures of local characters which will be on display for the first time during the Leigh Art Trail from June 9-16. “Brum sat so still and so peacefully that the act of painting him became more of a meditation,” explains Kerry. “Since then, I’ve had the pleasure of painting several more of the Marina folk and without exception they have been just as calm and focused as Brum. “For all of them, it was their first experience of sitting for a portrait. Perhaps it’s something to do with the sea air or a passion for messing around in boats that imbues these sitters with such a sense of tranquility. Kerry works in acrylics using a large brush and can complete a portrait in two hours, including a 20-minute break for coffee! “I’m able to capture a surprising amount of detail in a short time,” she says. And the portraits are an ongoing project, with Leigh-on-Sea’s fishing community an especially rich source of subjects for Kerry. “I’ve started inviting sitters to Two Tree Gallery in Leigh, which I share with other local artists, and to the Loft at Leigh Community Centre,” she adds. Kerry's beautiful work will be displayed at Heels by Vanessa, 35 Broadway, Leigh-on-Sea, during the Leigh Art Trail. Please find attached images. The Leigh Art Trail celebrates its 21st year in 2018, showcasing the work of more than 60 artists in local shops, cafes and businesses from June 9-16.